Troubled blood-testing startup Theranos is officially dissolving, according to a new report from The Wall Street Journal. 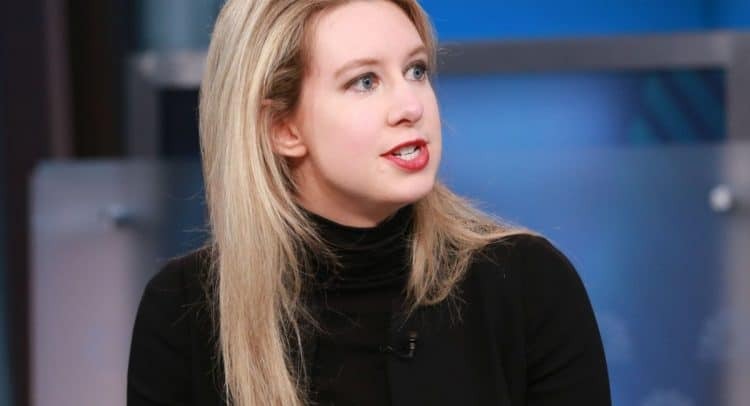 Citing a letter to shareholders from Theranos CEO David Taylor, the report notes that the company will look to pay its unsecured creditors with any remaining cash after Theranos investors reportedly lost nearly $1 billion due to the company’s collapse. Founded in 2004, Theranos was once a darling of the health and technology industries, raising more than $700 million from investors. However, The Wall Street Journal’s John Carreyrou first started exposing the fraud at Theranos in 2015. In May, Carreyrou delivered his long-awaited book about the onetime Silicon Valley darling’s meteoric rise to a $9 billion valuation and the precipitous fall that came after it was revealed that the blood-testing devices Theranos was pushing as revolutionary were nowhere near capable of backing up the significant hype. Titled “Bad Blood: Secrets and Lies in a Silicon Valley Startup,” the non-fiction book features Carreyrou’s exhaustive reporting on Theranos and its founder and CEO, Elizabeth Holmes, as well as interviews with over 150 people, including more than 60 former Theranos employees. Theranos had been on the verge of bankruptcy this spring and in June, the federal government indicted both Holmes and the company’s ex-president Ramesh “Sunny” Balwani on criminal fraud charges. The two former executives could face up to 20 years in prison apiece if convicted. Holmes previously agreed to a settlement with the SEC in a civil lawsuit that included a $500,000 fine. The book’s third chapter is called “Apple Envy” and it delves into Holmes’ reported obsession with the tech giant and its iconic co-founder, Steve Jobs. “To anyone who spent time with Elizabeth, it was clear that she worshipped Jobs and Apple,” Carreyrou writes.